What are board card games? Exciting, strategic card games to play, created by board game designers. These games have depth, strategy and strong replay value, with plenty of options for the player to take. We think you’ll love them! If you’ve never experienced the kind of modern card games like Bohnanza, Lost Cities and Jambo, then you’re in for a treat. These are far removed from Crazy Eights or UNO. Board card games are not regular card games like Spades, Texas Holdem poker or Go Fish. Our top 10 list includes the best games from this modern phenomenon, and also card games for two. Don’t buy card games until you’ve checked out this list (in no particular order). They’re all guaranteed to deliver a superior gaming experience. Simple, yet amazingly playable, the Bohnanza game challenges players to plant and harvest different types of bean. The rarer the bean, the harder they are to collect and grow, but the more they’re worth when you harvest them. 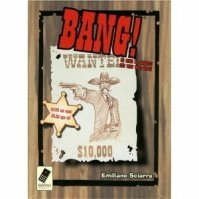 Modeled on a spaghetti western, in the Bang! card game you get to shoot each other, dodge bullets, juggle dynamite, spend time in jail… Items protect you and give you more abilities. 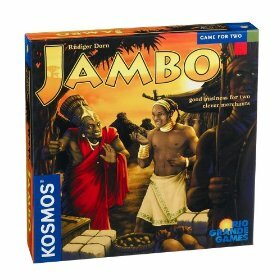 A deep strategy game experience using cards and tokens, Jambo is a card game of trading and gold accumulation. It’s one of the most in-depth strategy card games for two. One of the best Zombie games available, and the funniest! Lord of the Fries sees you playing undead, putting together fast food meals. See also: Give Me The Brain! Another card game for two, Lost Cities card games has an interesting theme (exploration) married to easy-to-learn mechanics. It’s a great two-player game that’s short, so you can easily fit into your schedule. Featuring six phases, RFTG involves colonizing distant planets, by peaceful or warlike means. It has a fairly steep learning curve, but once you ‘get’ it, you’ll be hooked. The board card game version of the brilliant Puerto Rico board game, an easily portable alternative, San Juan is not a board game, but it’s as close to matching the gameplay of one of the most popular strategy board games. Highly recommended. Another card game for two that is more interesting than the classics, the Brawl game lets you beat up your opponent with punches, kicks and special moves, just like a fighting video game. A fast game of time travel, the Chrononauts card game requires a fair bit of table space to set up, but should be easily playable in 15-20 minutes. An excellent filler game between long strategy games. Take your monsters into the arena to do combat! The Colossal Arena card game is a fast experience that is a lot of fun to play, once you understand the mechanics. A full list of games for two can be found on our two-player games section, for board and card games which are ONLY playable by two, and Top Trumps, which is a much simpler kids’ card game. If your favorite card games are not listed here, send us board game reviews. Next post: Board Game T-Shirts Make Awesome Board Game Gifts!